Heat Map Tool is a tool for easily creating heat maps or incident maps from a CSV file. To create a heat map all you need to do is upload a CSV file then specify your desired display attributes like scale, colors, and opacity. You can edit the display attributes of your map whenever you like. If you're wondering how to create a CSV file you can do so by exporting from a spreadsheet in Google Documents or exporting from an Excel file. Click here for directions on exporting from Excel. The free version of Heat Map Tool allows you to have up to 100 data points on your map and up to 500 hits per day on your map. Heat Map Tool could be a good tool for students to use to create visualizations of geography-related data that they collect. Students could gather and display data about people's habit in their community or throughout the world. For example, you could have students gather data about dialects and display that information on a map. From creating and scoring meaningful formative assessments to organizing school events, Google Forms and Google Sheets are powerful tools to help you get things done. But you need to know where to start. That's why next Thursday at 4pm Eastern Time I'm hosting a webinar designed to help you learn how to use and get the most out of Google Forms and Sheets in your classroom. 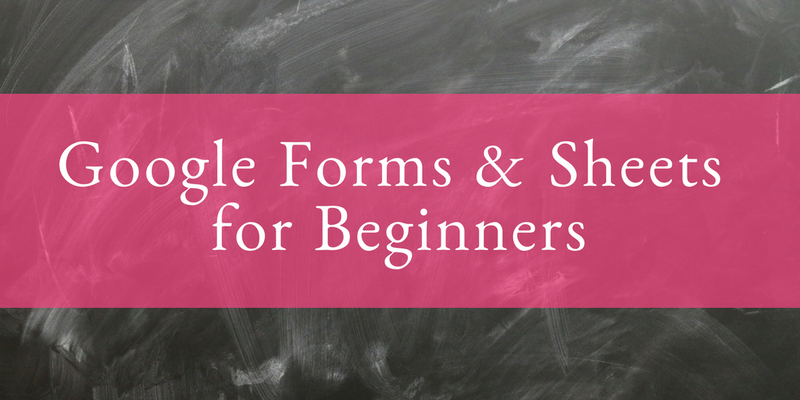 If you’ve ever read about or seen a neat use of Google Forms or Google Sheets and thought, “I want to do that,” Google Forms and Sheets for Beginners is for you. How to create multimedia formative assessments in Google Forms. The common mistakes made by new users and how to avoid them. How to use Google Sheets to make rubrics and deliver feedback to students. Methods for using Google Forms and Sheets to organize school events like field trips, PTA meetings, and extracurricular club meetings. How you and your students can use Google Forms and Sheets to gather, organize, and visualize information. You’re new to using Google Forms and Google Sheets. It has been a while since you last used Google Forms or Google Sheets. Have you tried all the new features added in the last six months? The World Digital Library hosts more than 19,000 primary documents and images from dozens of libraries around the world. Hosted by the Library of Congress and sponsored in part by the United Nations Educational, Scientific and Cultural Organization, the mission of the World Digital Library is to promote the study and understanding of cultures. The WDL can be searched by date, era, country, continent, topic, and type of resource. But my favorite way to explore the WDL is by browsing through the interactive maps that are available when you click on the globe icon in the site's header. The WDL aims to be accessible to as many people as possible by providing search tools and content descriptions in multiple languages. The World Digital Library can be a great resource for anyone that teaches history and or cultural studies. The wealth of image based resources along with the document based resources makes the WDL appropriate for use with most age groups.